This weeks SOTW is from Niclas in Sweden and is a beautiful NG 9-5. 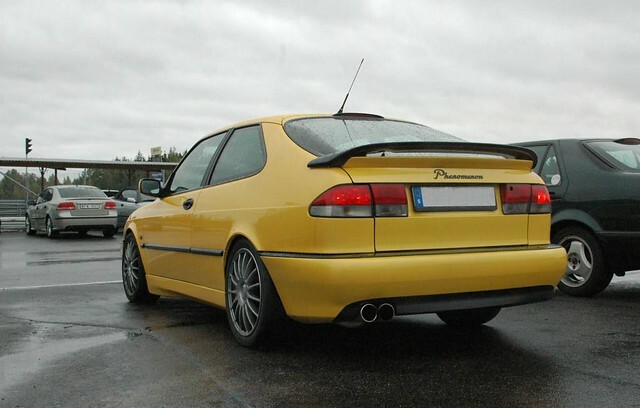 In 2008; Swedish Day was started when a gathering of Volvos and Saabs arrived for a pleasant get-together at Haynes Motor Museum in Somerset. 2015 sees us inviting you to our 8th Swedish Day UK. In 2014 we located to a new venue, Haslebury Mill, just outside Crewkerne. A fantastic old 19th Century Mill with lots of history everywhere you look and beautiful photographs to be taken. The show is organised for those interested in Swedish vehicles including commercial vehicles as well as all other Swedish products. The main Swedish Day will take place on the Sunday but as in all the other years we plan to have our Saturday evening meal cooked by the chefs at the Mill. Limited camping will be available for free if wanted. 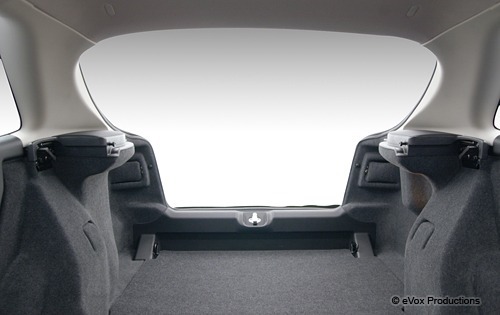 Also for the first time last year we introduced a vehicle fee of £5.00. This was to help us with running costs and monies left over were donated to charity. Each vehicle owner will be given a raffle ticket, as a thank you, for a chance of a nice gift. On Sunday, the chefs will once more cook up a breakfast for those arriving hungry as well as a Hog Roast at lunch time. The Mill’s bar will also be available during the day. 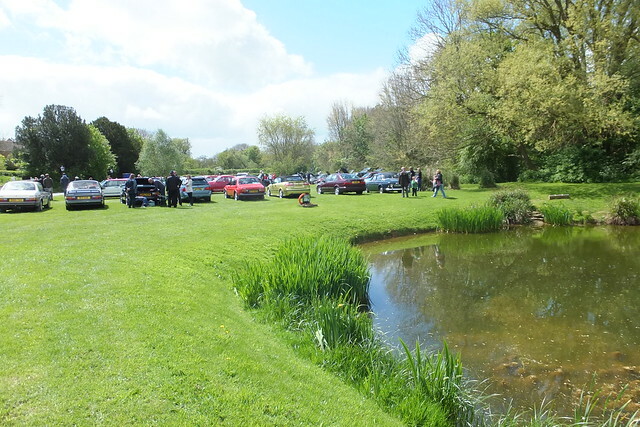 There will be an area available for a few trade stands and auto jumble alongside our sponsor’s displays. As always the event will be a leisurely day out, come along, park up and meet friends old and new, chat, admire, eat, drink and chat a bit more. 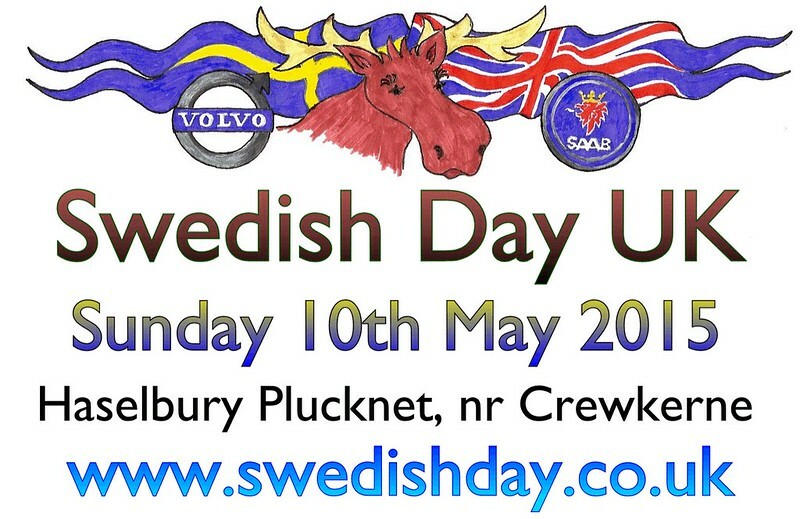 There will be a few prizes given out, favourite Saab/Volvo, favourite truck, furthest travelled etc. Maybe a Koenigsegg may be seen. Application forms can be found on the web site; however they will also be in the presentation pack on the day if required. Thank you very much for supporting Swedish Day and helping it to grow. We look forward to seeing you on the 10th May. Many more pictures from the 2014 here on Flickr. this is my 95 NG. 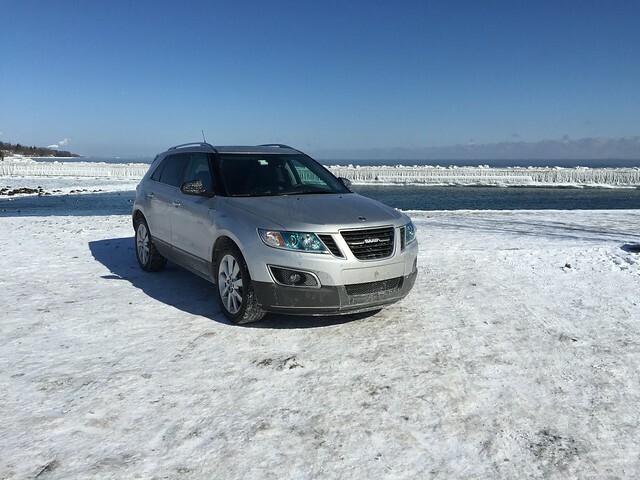 It’s 4 years old a very reliable car with a beautiful shape. 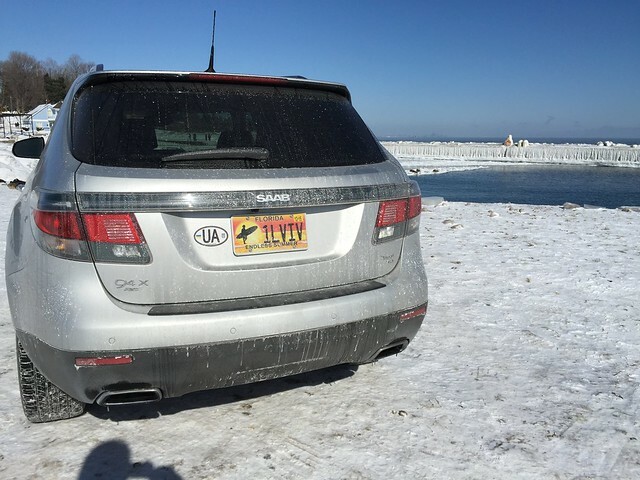 Recently, I took a trip to Toronto, Canada, and took some pix of 9-4X Aero with Ontario Lake scenery in the back ground. 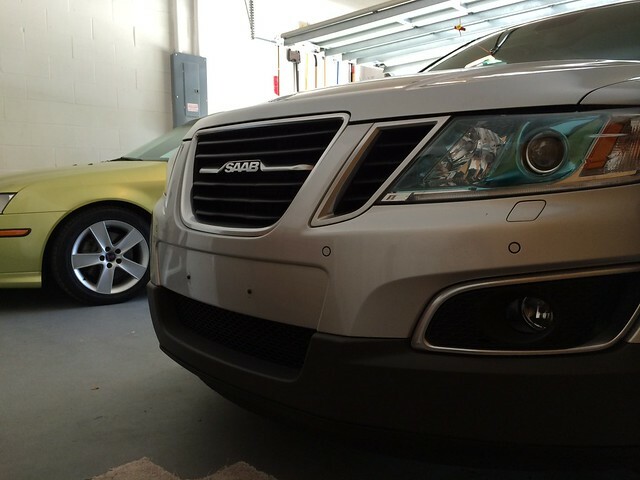 The 9-3 is vacationing in Florida right now, hibernating in the warm garage. Only 9-4X is forced to be driven the cold New Jersey. In 2 weeks I will be in Florida re-uniting them, and will take them both to Daytona Beach for a photo session right by the ocean. Please find the pix below for your SOTW collection. 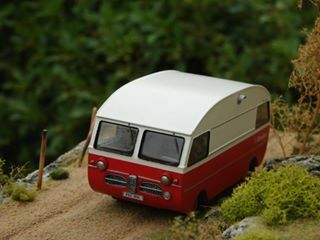 During 2014, Andrei at Griffin Models, ran a competition for those building his kits. Yesterday the results from a poll on his site were announced and Peter Haubold was the winner with his 95HK. With a massive lead (187 votes – 40%) we have a Griffin Models build-contest winner. 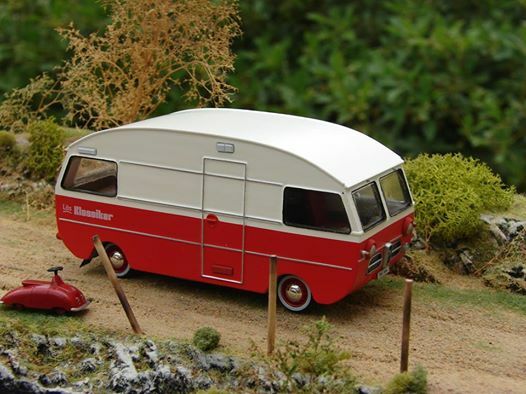 It’s Peter Haubold with Saab 95HK Motorhome kit. 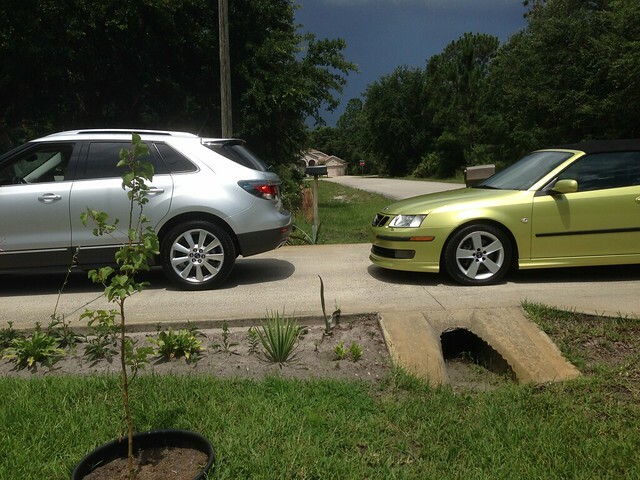 Why I’m hooked on Saab cars. 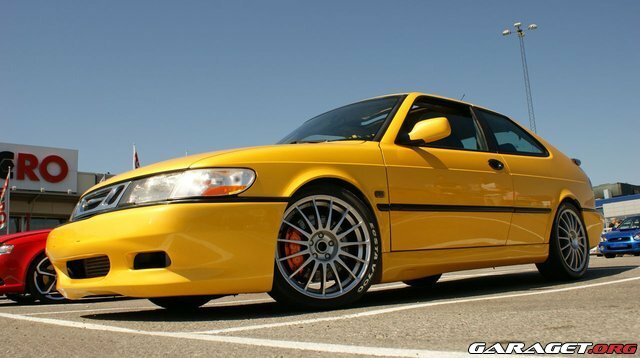 Why I’m hooked on Saab cars? 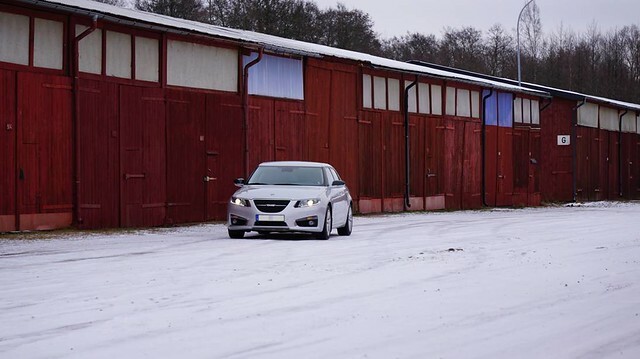 by Phillip Paton Regardless of the model there are certain attributes of Saabs that are different to any other car. Below is what hooked me into the brand. Here is my list of top ten. What have I missed? 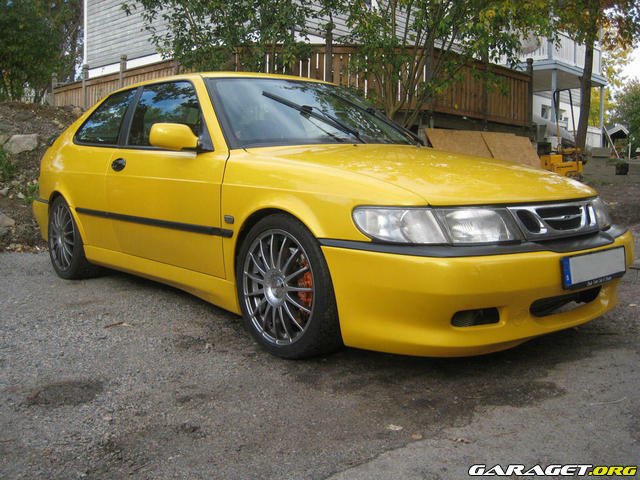 What got you into Saab? 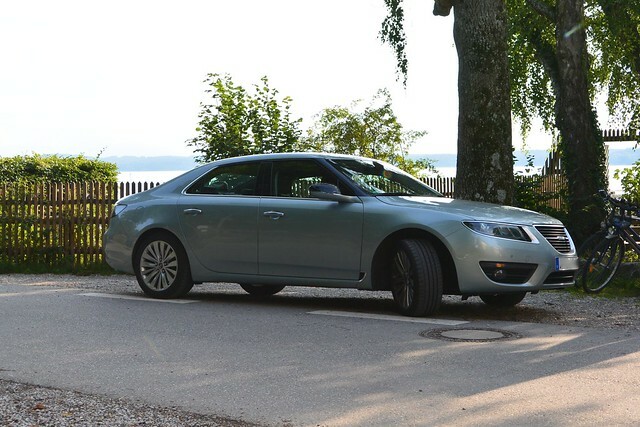 #1 – overall exterior design Saabs have a simple Scandinavian design in my view. There are not a lot of curves and what is there is simple and just makes sense. The outside is pleasing to the eye. My top 3 favourites of recent times are the classic 900 Cabriolet Aero, classic 900 Coupe Aero and the generation 1 9-3 Aero hatchback. #2 – low and level dash The low and level dash is one of the key features for me. 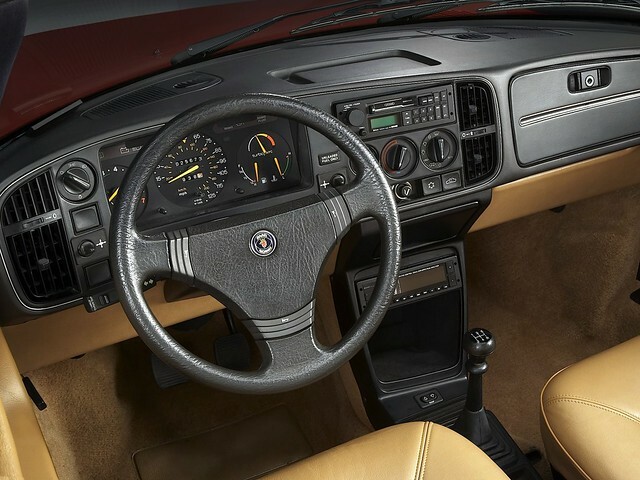 This makes the whole cockpit look refined. I just don’t understand why other car companies curve their dashes. 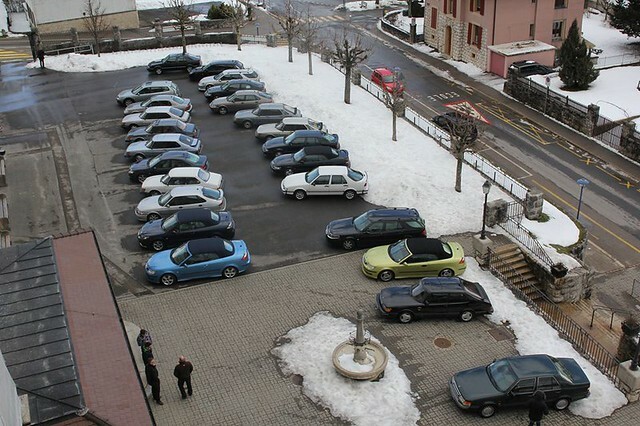 5th Saab Swiss Fondue Meeting, Vallorbe. After the 4 first editions in the Swiss Neuchatel-Jura, were we lived, the 5th Saab Swiss Fondue Meeting moved with us in Vallorbe, still in the Swiss Jura… but Canton de Vaud ! All the people are welcome at our house to share an Apero des region. Everybody take something to eat or to drink from his area to share with the other people. In the afternoon, we usually moved to Mariette’s Restaurant de la Vieille Fontaine. As this year we would be too far away Mariette and her daughter Pervenche came to make the Swiss cheese fondue in Vallorbe ! We had people from Great-Britain, Netherland, Luxembourg, France, Germany and all parts of Switzerland. About 30 Saabs for more than 60 people. Thanks our sponsors: Hirsch Performance, Orio/Saab Service, The Saab Farm, Editions Atlas, Banque Cantonale Vaudoise BCV, La Semeuse and Dimini.ch. Thanks also averybody for comming to make this nice event even nicer year after year !